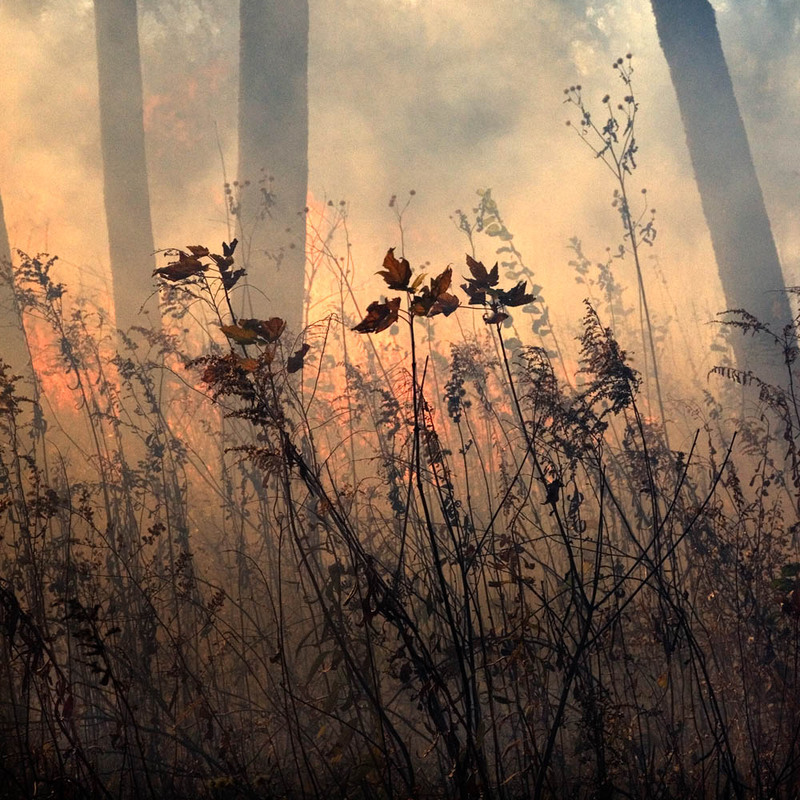 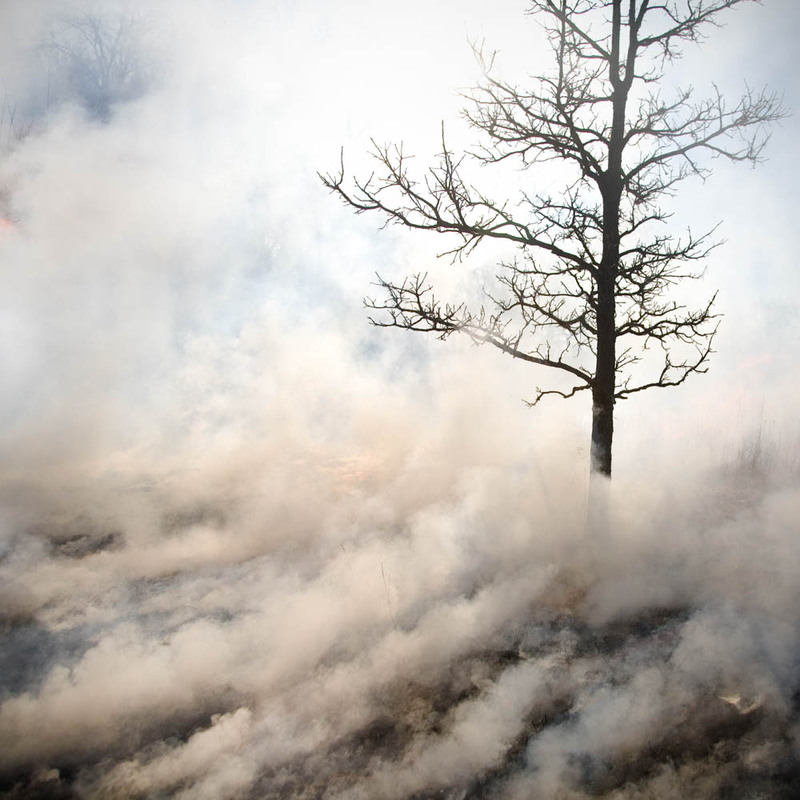 These photographs are part of a series begun in 2007 when I observed my first controlled prairie burn. 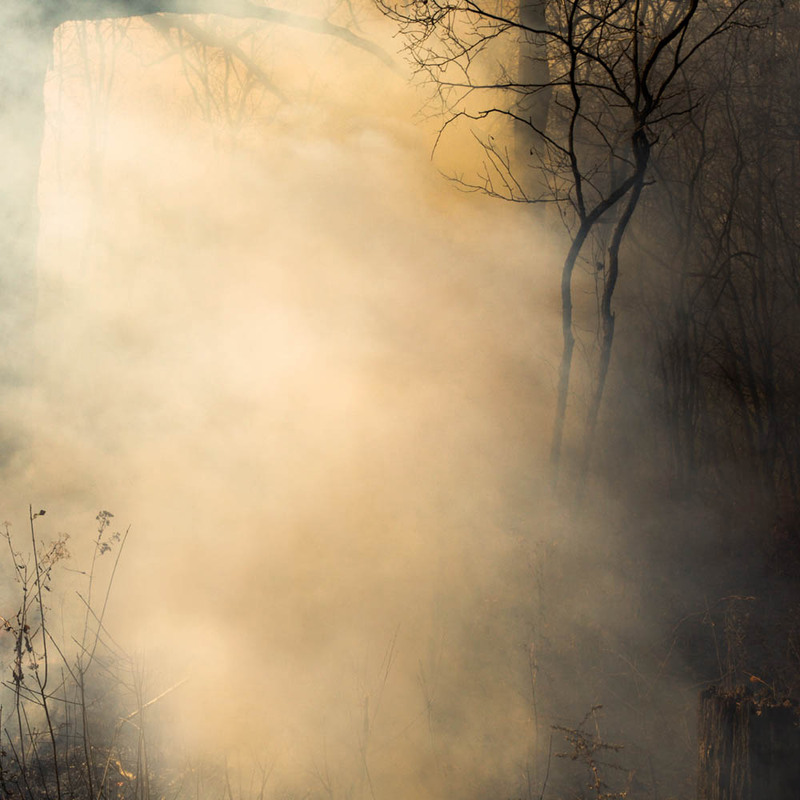 I was immediately struck by the burn’s visual and expressive potential, as well as the way it evoked themes that are at the core of my photographic work. 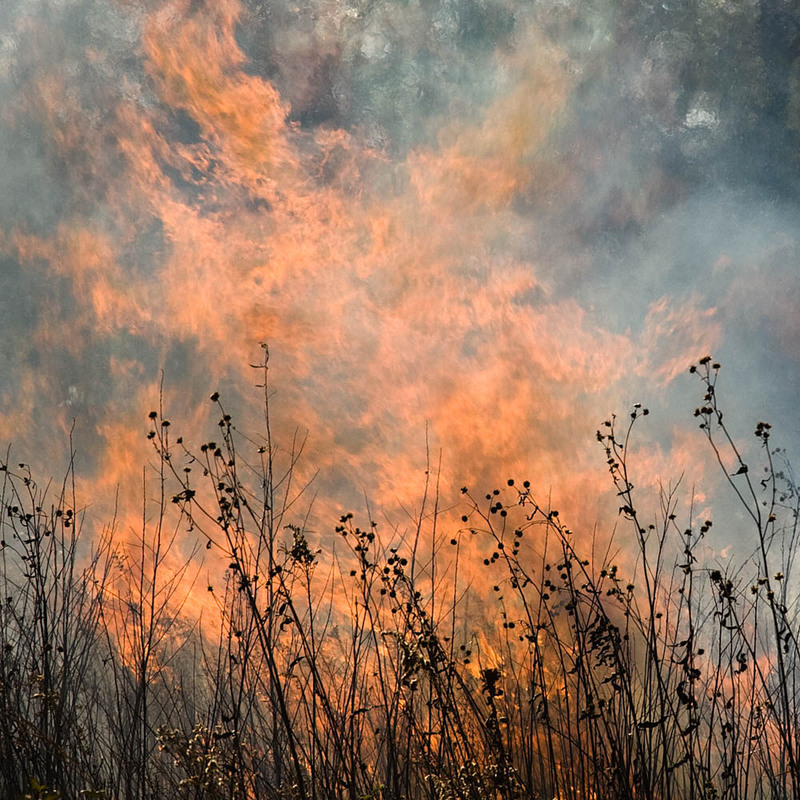 A controlled burn is deliberately set; its violent, destructive force reduces invasive vegetation so that native plants can continue to prosper. 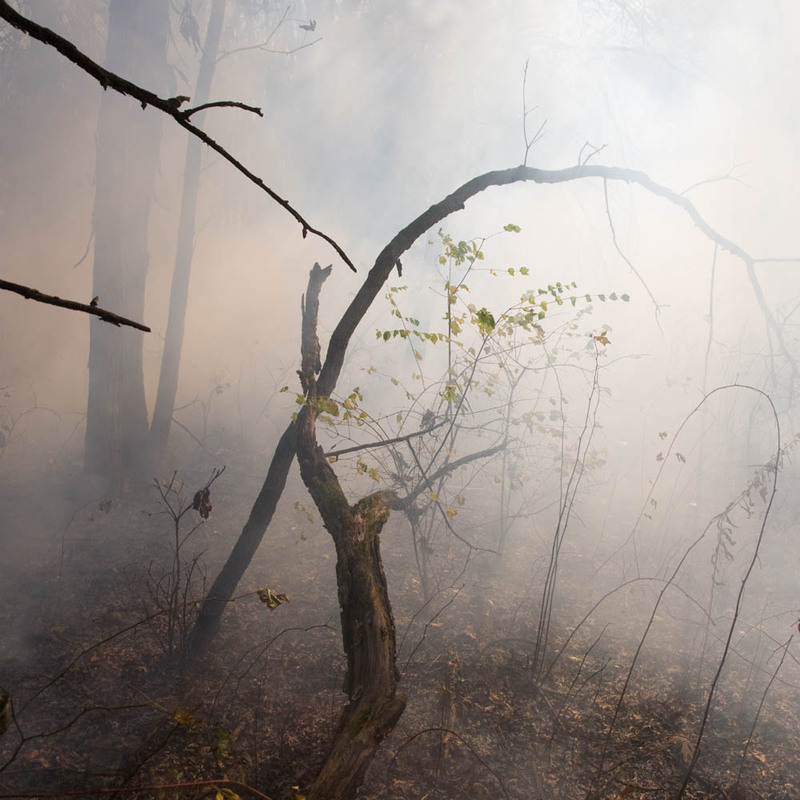 The elements of the burn—the mysterious luminosity, the smoke that both obscures and reveals—suggest a liminal space, a zone of ambiguity where destruction merges with renewal. 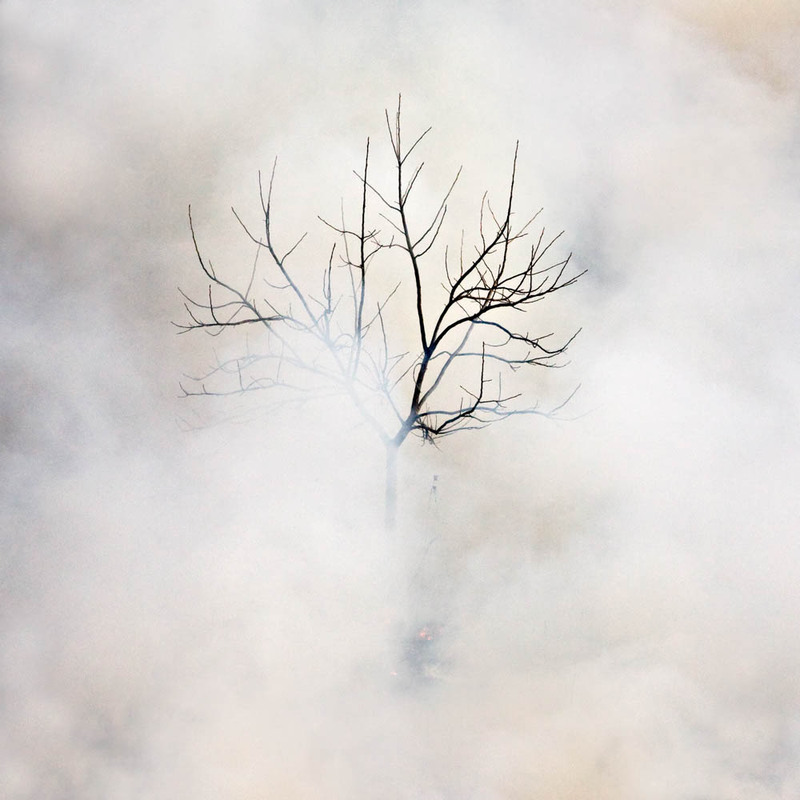 These images of regenerative destruction have a personal significance—I photographed my first burn within the space of a few days when my first grandchild was born and my sister began a course of chemotherapy—yet they constitute a universal metaphor: the moment when life and death are not contradictory but are perceived as a single process to be embraced as a whole. 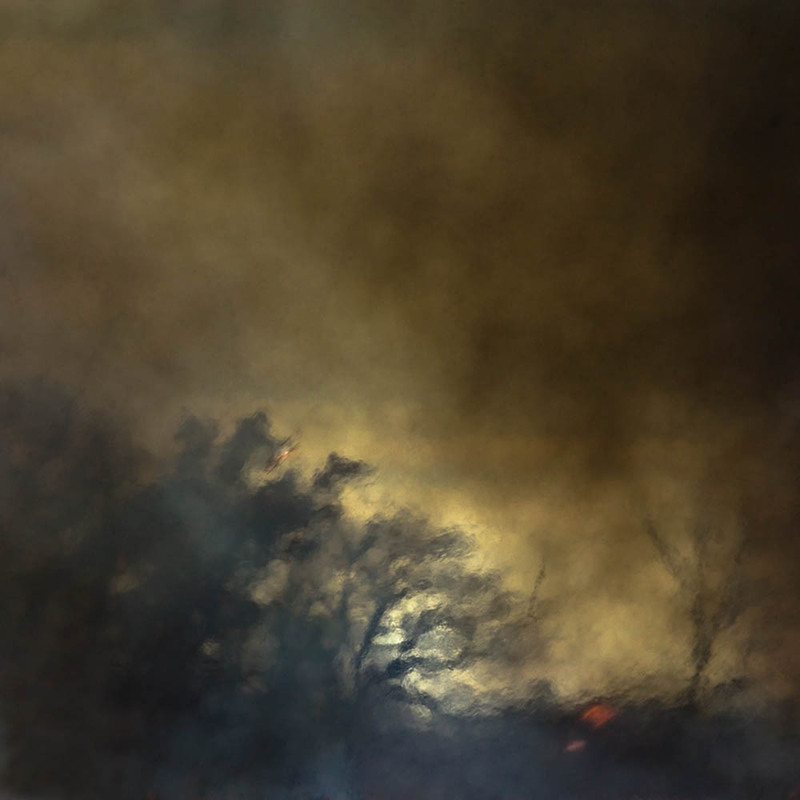 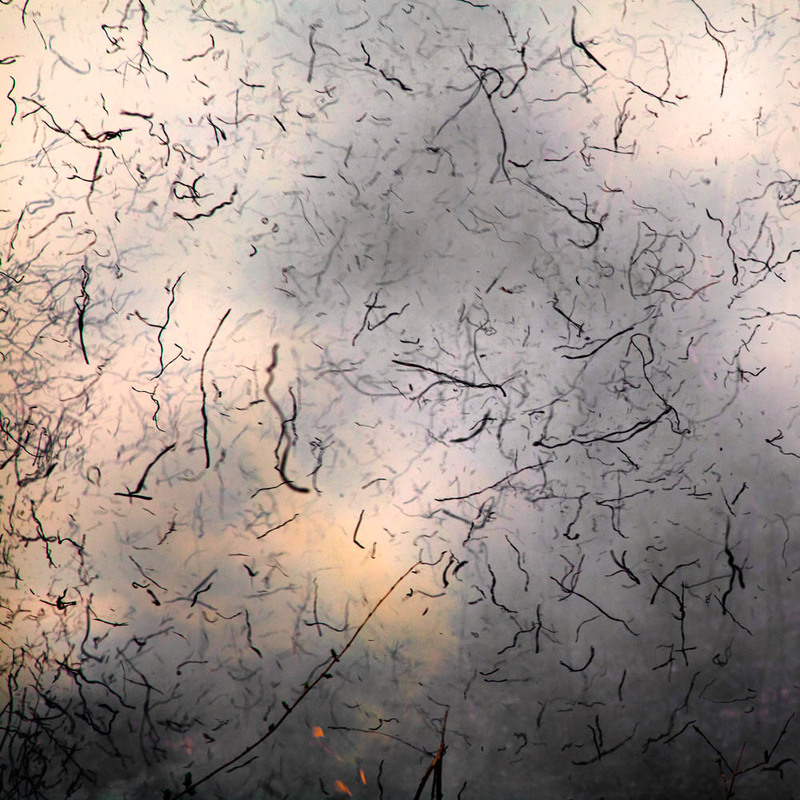 between fire/smoke is an unfolding visual and textual journey through a landscape of liminality, leading to a place where all that is unresolved is imaginable.